I occasionally watch the YouTube videos of Casey Neistat (b 1981), a New York film producer and videographer. His vlogs are well done and interesting personal takes on his life. It's been a while since I've seen or even thought about the 1992 Disney film Aladdin, however Mr. Neistat teamed up with a friend to put together the following amusing take of the film. I found the background music the perfect fit for the humorous nature of the video content. FYI: YouTube: Casey's video on how they filmed their magic carpet prank. All this prompted me to go back to look at the original movie and I found the following video of "Friend Like Me" sung by Robin Williams. It is fabulous. A great song and funny to boot. The animators and Williams together resulted in a terrific piece of entertainment. "Friend Like Me" is a song from the 1992 Disney film Aladdin. 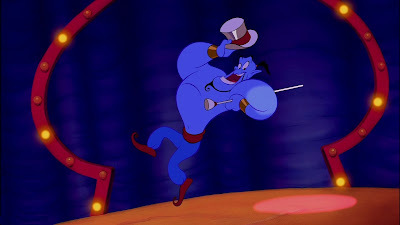 It was performed by Robin Williams in his role as the Genie. The song was nominated for the Academy Award for Best Original Song at the 65th Academy Awards and the Golden Globe Award for Best Original Song at the 50th Golden Globe Awards in 1993. Casey Owen Neistat (1981) is an American film director, producer, designer, creator of popular YouTube videos since 2010 and entrepreneur. Casey Neistat is the co-founder of a social media company called Beme. Casey Neistat and his brother Van Neistat are the creators of the HBO series The Neistat Brothers. Cats. Cute. Cuddly. What could go wrong?